Bristol has been the starting place of many adventures over the years. Leaving from the port in the mid 15th Century, up until the present day with Bristol Airport now serving over 8 million passengers a year. Bristol has grown as a city from a population of 25,000 in 1700 to over 550,000 in 2017. Receiving its Royal Charter in 1155 Bristol was historically divided between Gloucestershire and Somerset until it became a county in 1373. Up until the 18th century Bristol was among the top three English cities, when with the Industrial Revolution cities such as Birmingham, Manchester and Liverpool became larger. Often adventurers leaving from Bristol went out to explore the world. With one of the most famous being that of the Venetian, John Cabot who left Bristol to travel to mainland North America in 1497. Followed in 1499 by William Weston (a Bristol Merchant) who then went to North America leading an exploration team. However the city offers many adventures of its own. The Port of Bristol was the hub of the city a bustling and busy area, where the wonders of the world were brought in and out of the country. With the opening up of the Americas in the 18th Century, Bristol was well placed on the west coast of the UK to be an ideal port for ships travelling across the Atlantic. This brought to the port the slave ships, making many Bristol Merchants wealthy, becoming one of the ports at the centre of the Triangular Trade. Side one seeing manufactured goods shipped to West Africa and sold for Africans; side two transporting the captive slaves across the Atlantic to the Americas; with side three bringing plantation goods such as sugar, rum, rice, cotton and tobacco back across the Atlantic. The Seven Stars public house – which abolitionist Thomas Clarkson used to collect information on the slave trade – is still a working pub today. This 17th Century coaching in the cobbled street Thomas Lane is the original “Beer Museum”, and if you like real ale is well worth a visit when you are in Bristol. The Port moved out to Avonmouth and Royal Portbury Docks leaving Bristol Harbour to be reinvented and to offer its many attractions to the tourists who now visit this exciting city. Steeped in history the city boasts over 50 Grade I, 500 Grade II* and 3,800 Grade II listed buildings. Covering a wide variety of styles from medieval to modern. Surviving fortifications and castle date back to the medieval period, and the Church of St James dates to the early 12th century. Religious buildings are amongst the oldest. The Benedictine priory of St James’ founded in 1129 is probably the oldest Grade I listed building in the city. 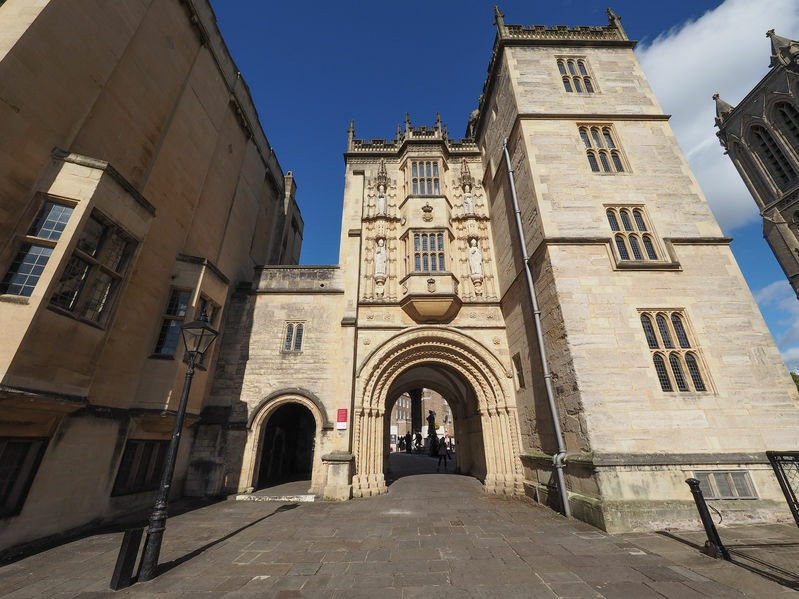 It has royal connections having been funded by Earl Robert of Gloucester; the illegitimate son of Henry I. Bristol Cathedral and its Great Gatehouse has medieval stonework, made from local limestone quarries, including Bath stone. St Mary Redcliffe, a masterpiece of Gothic architecture, is the tallest building in Bristol and again dates from the 12th century. Secular buildings worth visiting include The Red Lodge, built in 1580, and subsequently added to in Georgian times and restored in the early 20th century. Now The Red Lodge Museum it is open from April to December, and is part of the Bristol Museums group – which includes The Georgian House Museum and Blaise Castle House Museum. St Bartholomew’s Hospital is a 12th century town house, firstly part of a monastery hospital, then Bristol Grammar School and after 1767 Queen Elizabeth’s Hospital. St Nicholas Almshouses were built in 1652 to provide for the poor. Many public houses were built during Bristol’s colourful life, and one of the older buildings is the Llandoger Trow, originally built in 1664 – one of the last timber-built buildings in Bristol. It retains many of its original features and there are many myths and stories surrounding the pub including secret tunnels and pirates. If you have a passion for history and architecture then visit Bristol which will be a complete joy, and will certainly hold your interest. Stay at our cheap B&B in Bristol for a good base. Many famous people have come from this historic city, and their lives are catalogued throughout the city. From John Cabot, the list stretches through to today. John Wesley – 1703-1791- founder of the Methodist Church, worked and preached in Bristol and a statue outside the New Room (the first Methodist Chapel) in Broadmead is testament to Bristol’s affection for him. Hannah More – 1745-1833 – was born and lived in Bristol. She was a writer, and educator and social reformer, she wrote on abolition and she was a vocal advocate of women joining the anti-slavery movement. John Loudon McAdam – 1746-1836 – although not born in Bristol, lived in the city from 1801 and developed a new road system for the city, as well as a new process of road construction. Now known as tarmac and used throughout the world. Sir Humphrey Davy – 1778-1829 – famously discovered laughing gas (NOS) while in Bristol, and also inventing the miner’s safety lamp. Isambard Kingdom Brunel – 1806-1859 – again not born in Bristol, but his influence on the city is immeasurable – including the Clifton Suspension Bridge, SS Great Britain, and the Old Passenger Shed at Bristol Temple Meads. Bristol's modern economy is built on the creative media, electronics and aerospace industries. The city centre dock area has been regenerated and redeveloped as a centre of culture and heritage, supported by lively theatre and arts programmes throughout the city. Nightlife is thriving and there are a wide variety of restaurants available to suit every taste. The University of Bristol and the University of the West of England bring with them the lively student culture that adds to the life of any city. One visit to the city will just scratch the surface. Connected to other major cities in the UK by a network of motorways - M4 and M5 – with good rail connections and two main stations – Bristol Temple Meads, and Bristol Parkway - and to the rest of the world by sea – Avonmouth - and air - Bristol Airport. Bristol is a thriving city with a rich history and an exciting future – the ideal city for that weekend away, or mid-week break, visitors will not be disappointed. Book a room at our cheap B&B in Bristol for your stay. John Betjeman, one of England’s best-known Poet Laureates, called Bristol “the most beautiful, interesting and distinguished city in England”. Let your next adventure start here.